Read the latest news about OneLife iD, including product reviews, partnerships, events, press coverage and feedback from people who are already using OneLife iD products. OneLife iD brings fun and style to the serious business of ID. Who do you wear your emergency or medical ID for? Who do you wear your medical alert or emergency ID for? 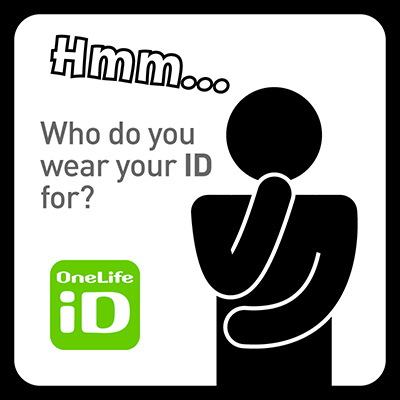 Watch our latest video which highlights how wearing an ID helps others help you. 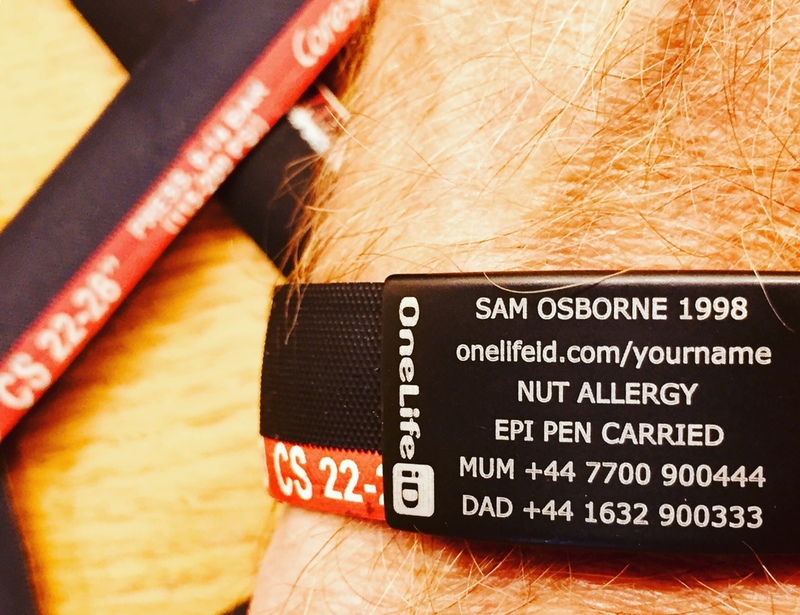 OneLife iD have teamed with RiderHQ to offer an integrated membership and Member ID Card and emergency ID key tag solution for cycling, running and triathlon clubs. Looking for a sports ID wrist band strap that is unique and a way to show your enjoyment of cycling? Try our new wrist straps made from re-cycled bike tyres. 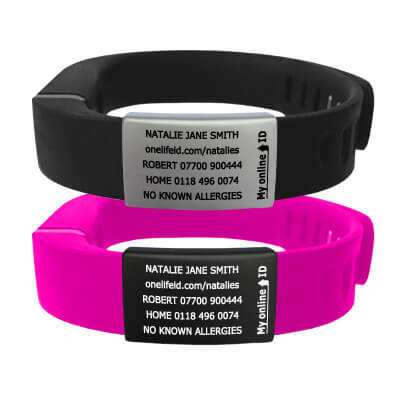 Customers are now adding our custom engraved emergency ID tags to the wrist straps of their tech wristwear. Our specially designed ID tags fit Apple Watch 2 and 3, Garmin Fenix 5, 5S, Forerunner 620 and fitbit Charge and Charge 2. Free delivery on UK orders over £30. Free European delivery on orders over £75.